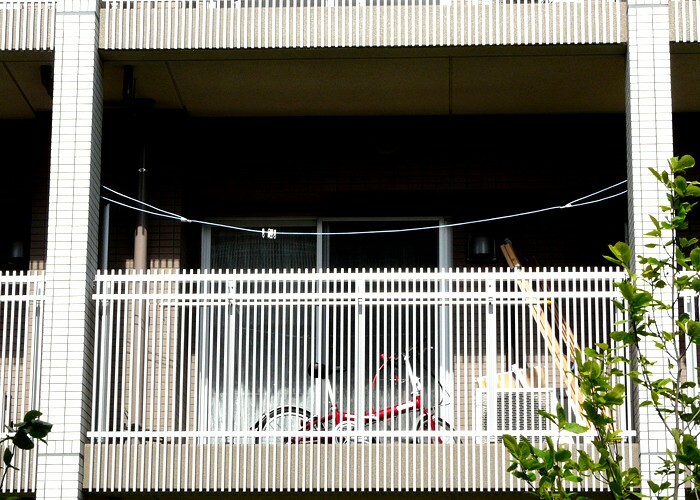 All apartments are fitted with built-in washing lines which are below the line of the railing. Unfortunately, these are too low, meaning that sheets and futons have to be hung carefully to prevent them from resting on the balcony floor. 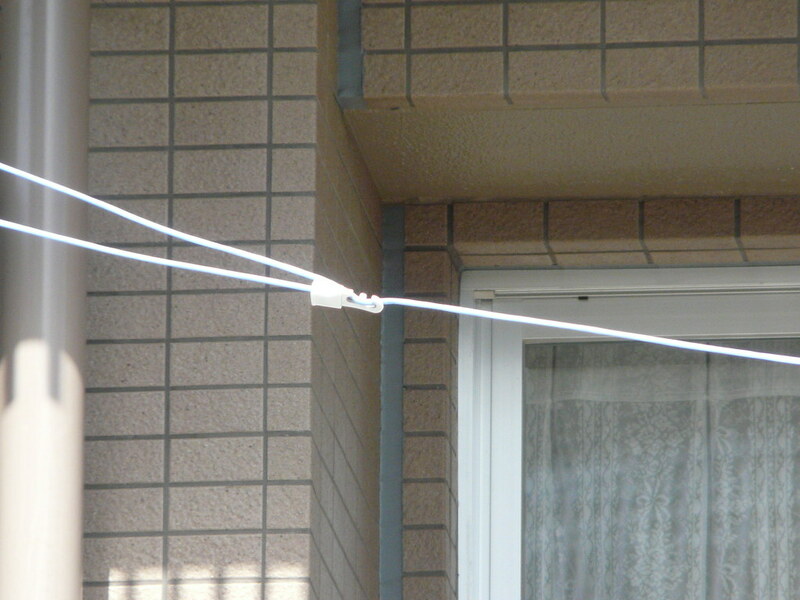 This resident has erected his own (more common style of) washing line at a more practical height. This example is a note for a pamphlet on “Hand Made Aspects of Mass Produced Housing” by a-small-lab.